"Because every 21st century school district needs a comprehensive solution for creating and sharing video. WeVideo is that solution; it is built for schools." 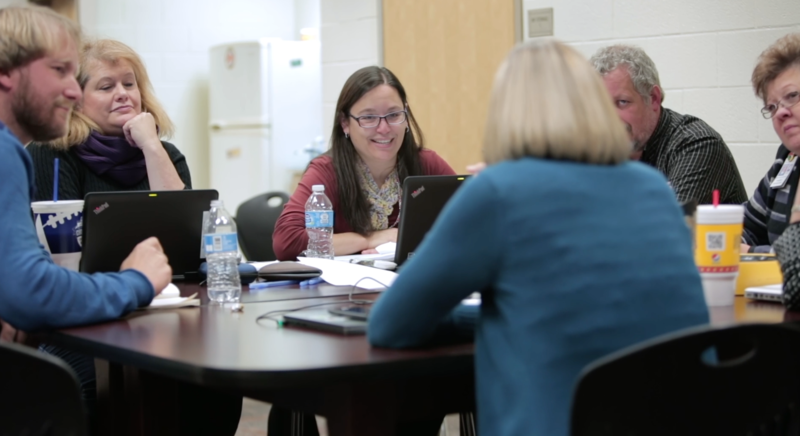 WeVideo Professional Learning Workshops enable you to accelerate your digital transformation initiatives, promote student-centered learning, and build capacity for digital storytelling among educators across all academic subject areas. Widely used by students in countless ways, WeVideo is also handy for teacher training, district marketing and communication, film festivals, sporting and other events, and even school-board meetings. Depending on the scope of your WeVideo implementation, our available professional learning options range from on-site workshops covering introductory and advanced topics to exclusive online webinars for teachers and coaches. * Discounts available for two or more consecutive days of on-site training and packages of three or more webinars. In this introductory workshop, teachers receive step-by-step guidance on how to set up and personalize their WeVideo education accounts. This includes navigating their WeVideo dashboard, creating groups for their classes, importing and sharing media, and assigning collaborative projects. The second part of the workshop provides hands-on training on basic video editing in Storyboard and Timeline modes. This workshop assists administrators with setting up their district WeVideo instance and deploying it effectively to teachers and students. The goal is to reach an in-depth understanding of user roles and profiles, member management, privacy settings, integrations and domain sync workflows, central content management, organization-level groups, and other related topics. The goal of this workshop is to expose trainees to the principles of multi-track editing. It highlights the full range of WeVideo editing features through a series of practical exercises suitable for any classroom. Teachers will take a deep dive into advanced tools like chroma key, screencasting, animation, speed control, and audio and video automation. The growing popularity of "flipped" and blended models is to no small extent a consequence of their effectiveness as pedagogical practices. What better way to help your teachers themselves make the leap from content allocation to content creation than a multi-modal communication tool like WeVideo? Through an experiential learning sequence, trainees will construct engaging video lessons that also integrate many technical aspects of video creation. What makes a powerful story? In a shift from the technical to the creative side of editing, this workshop hones in on the storytelling process, from script and storyboard to delivering a finished piece. It touches on topics such as character archetypes and continuity, and highlights the importance of narrative structure by examining story formats popular in many classrooms: personal narratives, public service announcements, book reports, explainer videos, and others. Trainees will walk away with a solid grasp of the pro film production process. At every stage from pre- to post-production, they will put together a tool belt to help their students improve the quality of their video work. That starts with understanding effective production planning, storyboarding, and shot selection and extends to blocking, rehearsing, lighting, sound recording, and video capturing - all essential elements for a well-crafted video story.